...a swatch of fabric made from vegetable fiber (such as linen, cotton or jute) that has been converted via pyrolysis into a slow-burning fuel of very low ignition temperature. It is capable of being ignited by a single spark that can in turn be used to ignite a tinder bundle to start a fire. It is sometimes manufactured at home for use as the initial tinder when cooking or camping and historically usually provided the "tinder" component of a tinderbox. It is often made by putting cloth into an almost airtight tin with a small hole in it, and cooking it in campfire coals until the smoking slows and the cloth is properly charred. 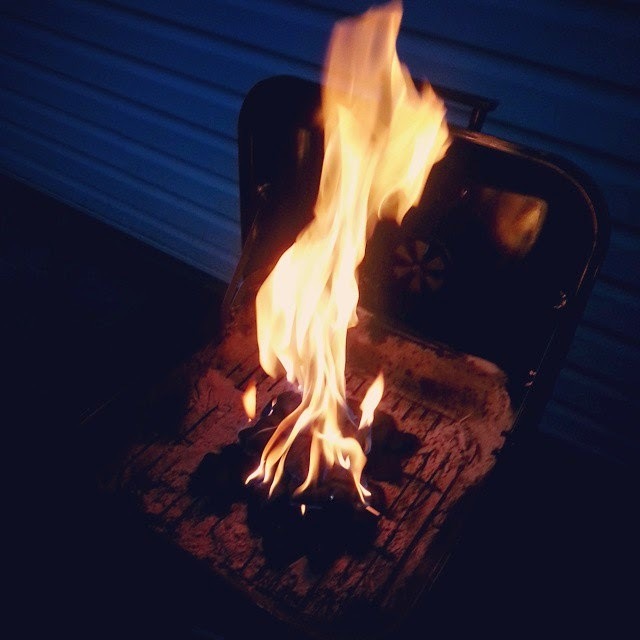 Char cloth ignites with even the smallest spark, and is therefore commonly used with a flint and steel. 2. 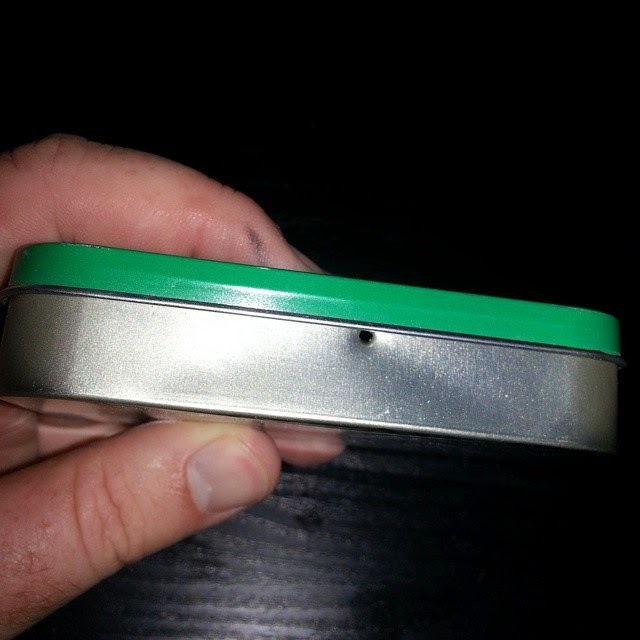 Take a nail, a small drill bit, or even the awl on your pocket knife and poke a small hole in it. 3. Cut up some cotton cloth squares. 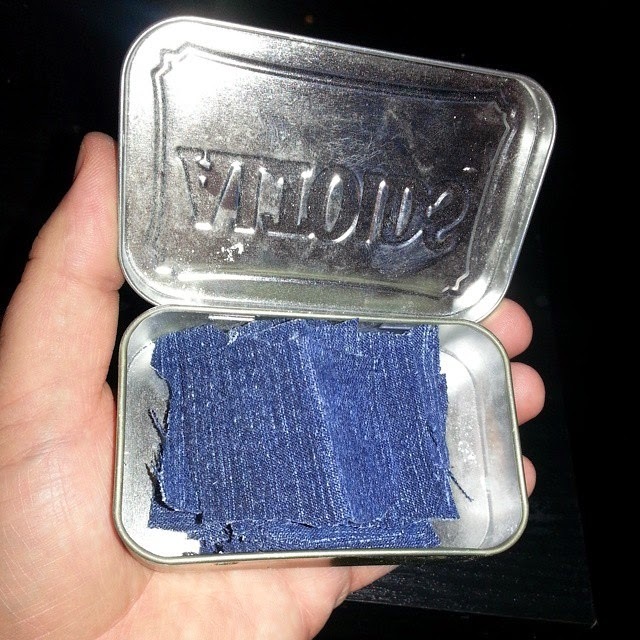 I used a pair of my daughter's old blue jeans that she grew out of. 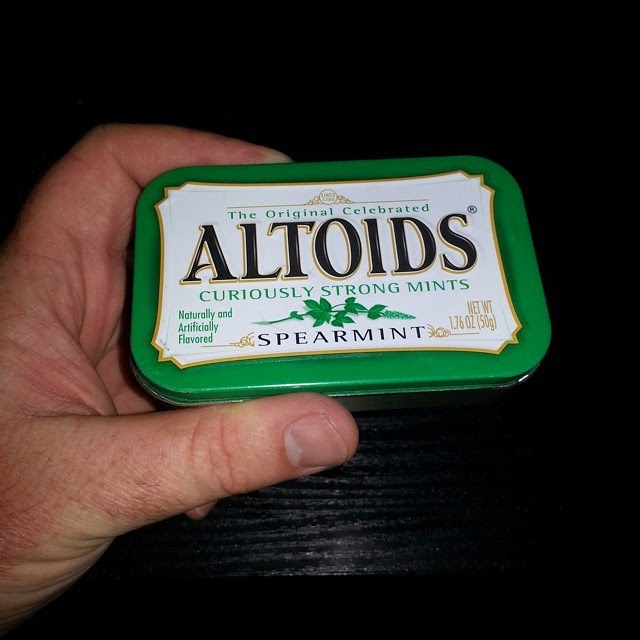 Then put them in your tin. You can put a whole stack in. 4. Start a fire! 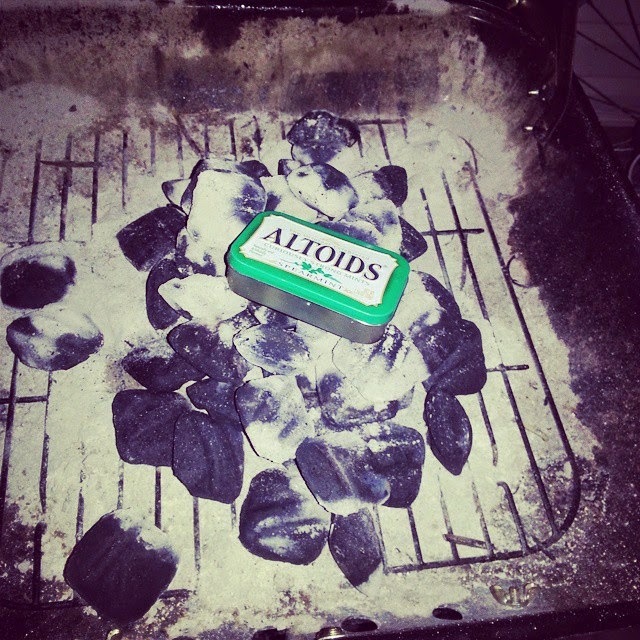 Here I just used my standard charcoal grill. 5. 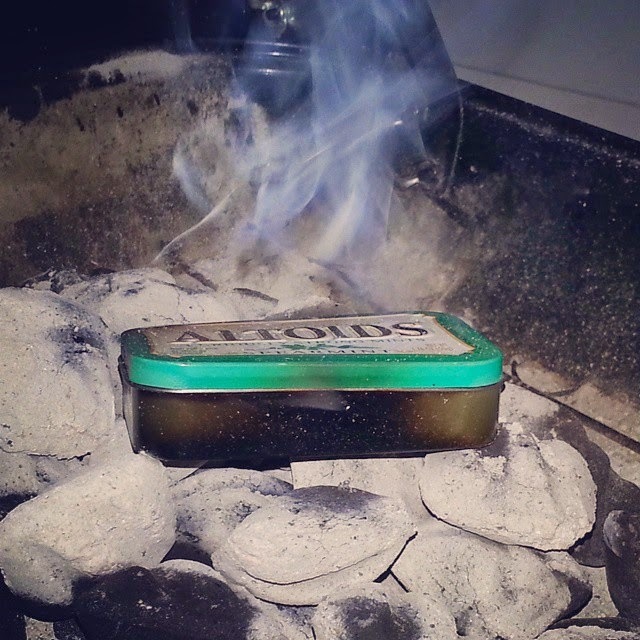 Wait until you have some really hot coals then put your tin on the coals. 6. Let it cook until you see a lot of smoke coming out of your tin. It should only take about ten minutes or so. 7. 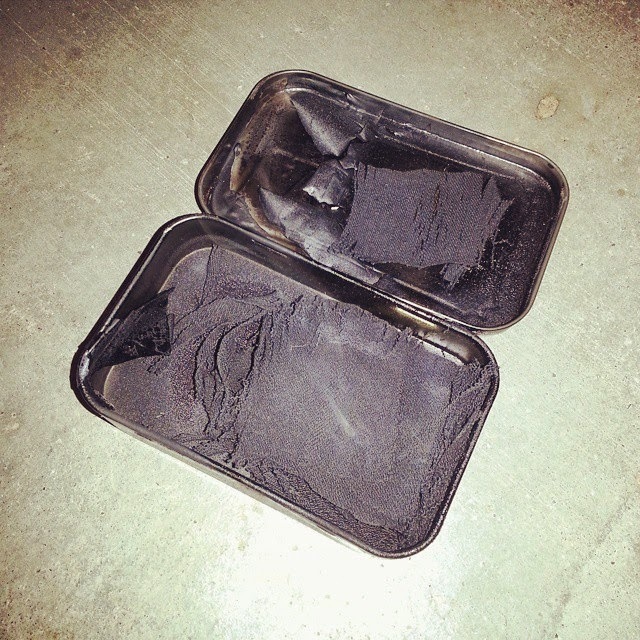 Take your tin off the coals, and let it cool down for a few minutes. When you open it up you will have a bunch of very flimsy black pieces of char cloth! 8. Now you can take something like your fire steel, or a piece of flint and steel and you can rain sparks on it to get an ember that you can use to light a tinder bundle! 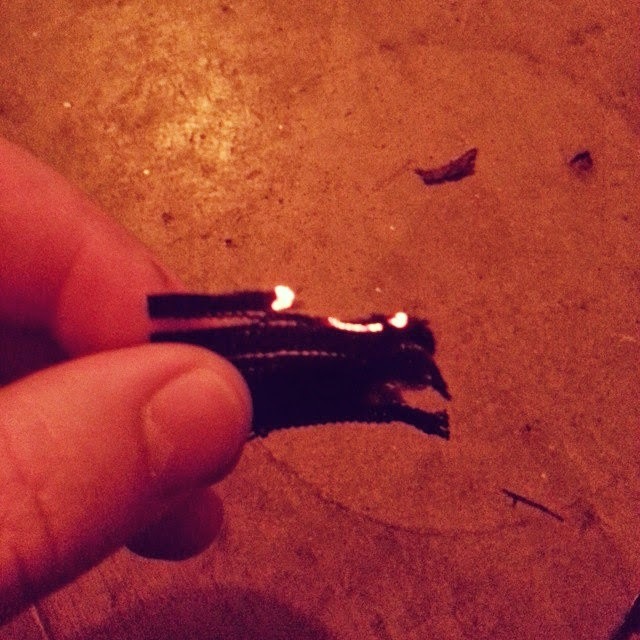 Char cloth is a really nice thing to have in your survival kit because it makes starting a fire so much easier. This technique has been around for a few hundred years, and was used by soldiers in the American Revolutionary War and even by beaver trappers in the 1800's to get a fire going with sparks. It certainly beats rubbing sticks together!